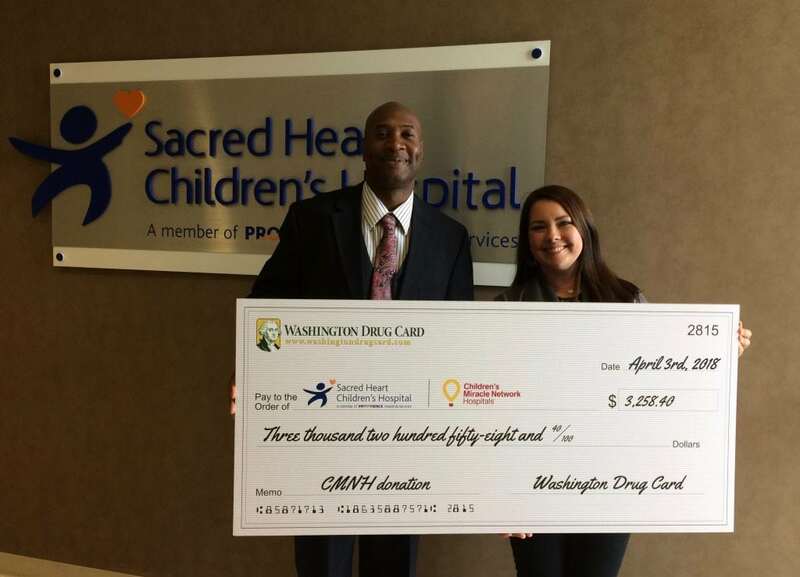 Washington Drug Card‘s Christien Neuson presents a check to Sacred Heart Children’s Hospital in Spokane, WA. Each time a prescription is processed through Washington Drug Card, a donation is made to the hospital. Photographed here with Christien is Angie Kelleher, Program Manager. Thank you for all you do!